Latvia. 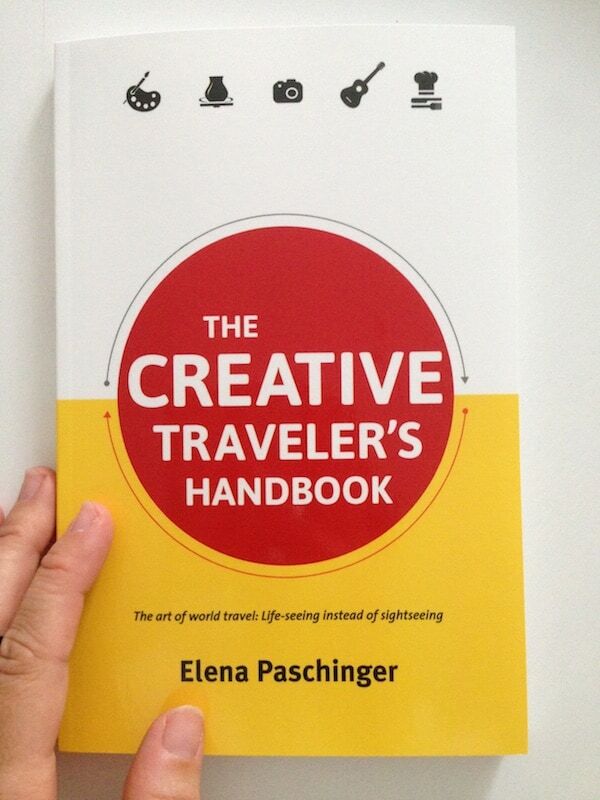 A true “tabula rasa” in terms of travel experiences for me. 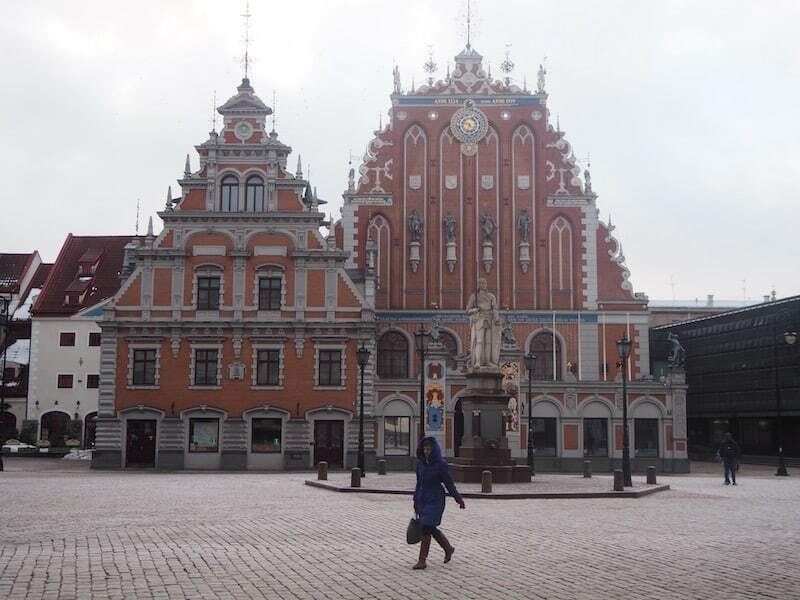 I have never in my life been to either of the three Baltic States Latvia, Lithuania or Estonia, but have been given a great deal of (positive) recommendations before. 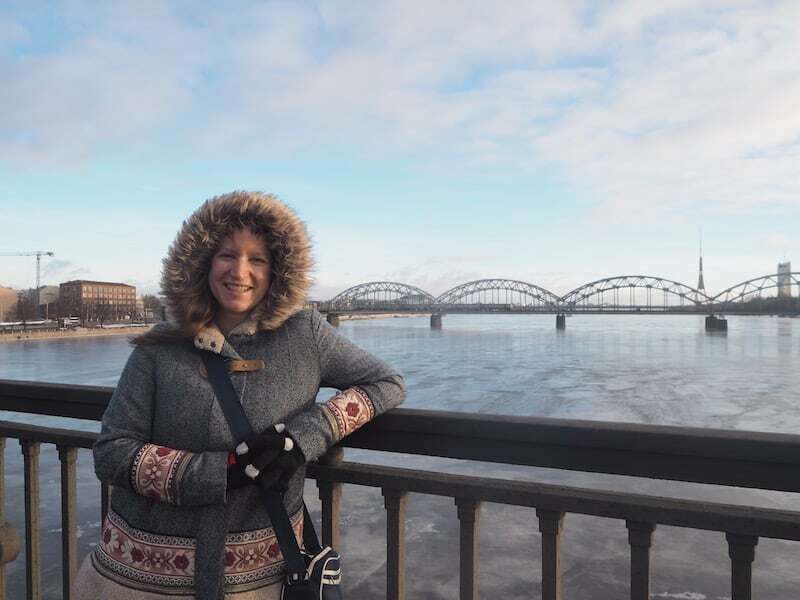 Thanks to my participation in the #NBEFinland Nordic Bloggers’ Experience, I have now been to Riga, as well as rural Latvia, together with a bunch of new-found, international friends meeting truly special, local people. 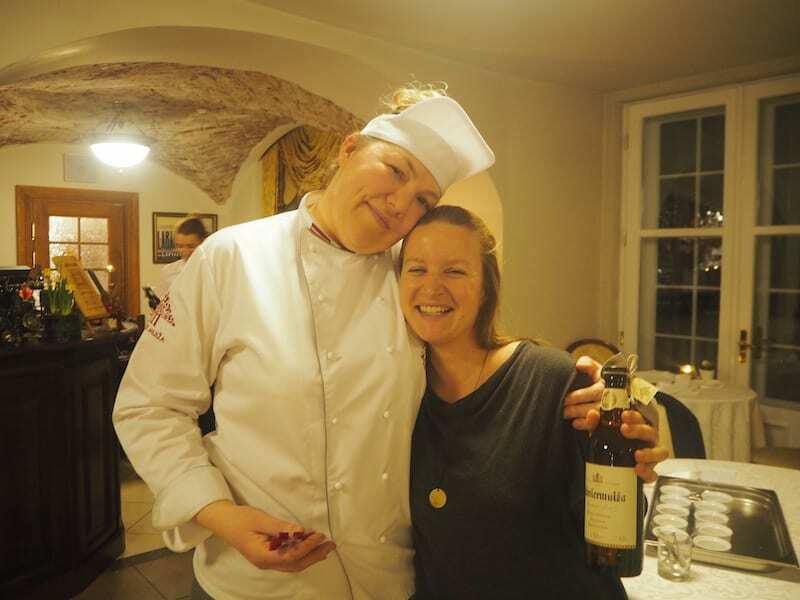 Aija Gabrane, Latvia’s top chef. 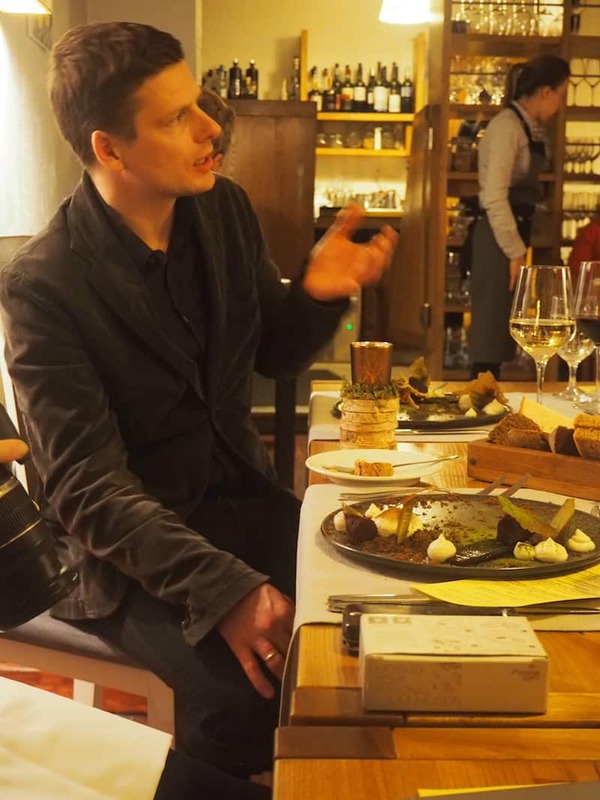 Janis Vanags, Air Baltic’s charismatic Head of Communications. Juris Dudko and his daughter Liene, who run a beautiful countryside spa hotel. 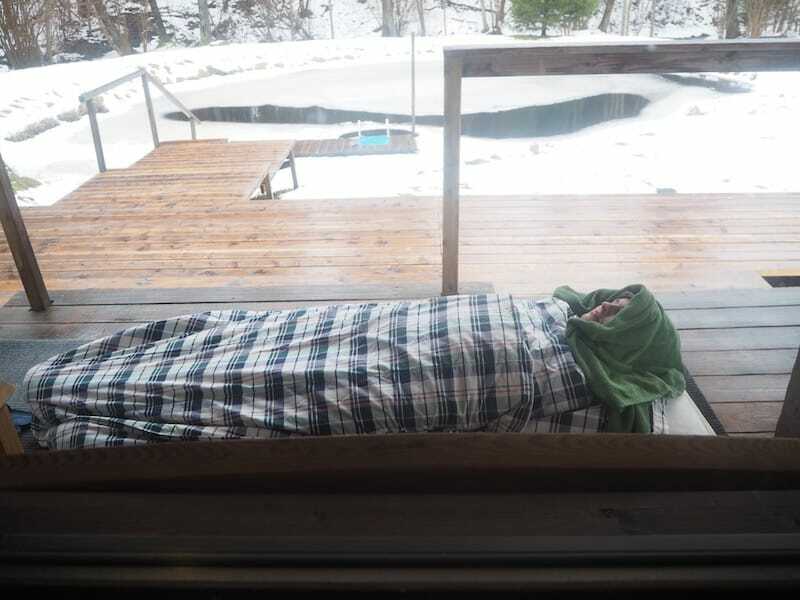 A computer scientist, who in his “leisure time” doubles as a traditional sauna whisk master (more about this later). 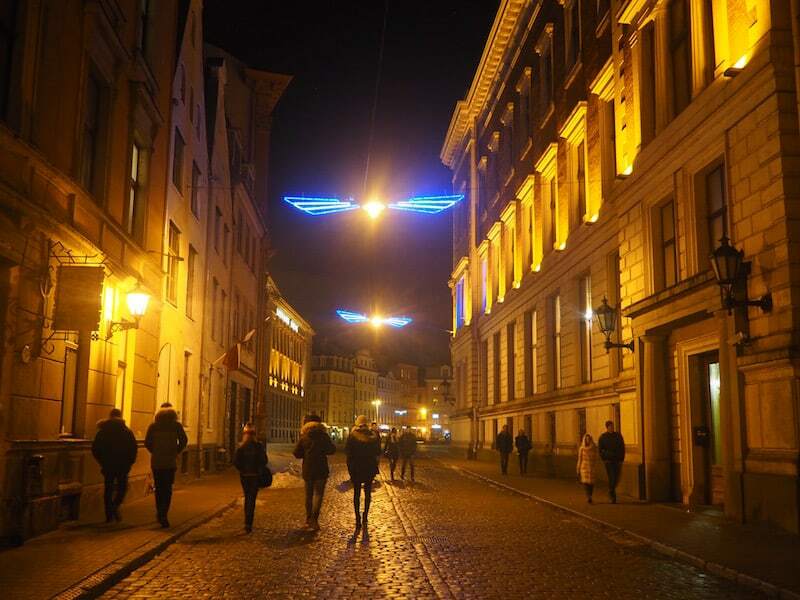 Picture yourself landing in Riga. 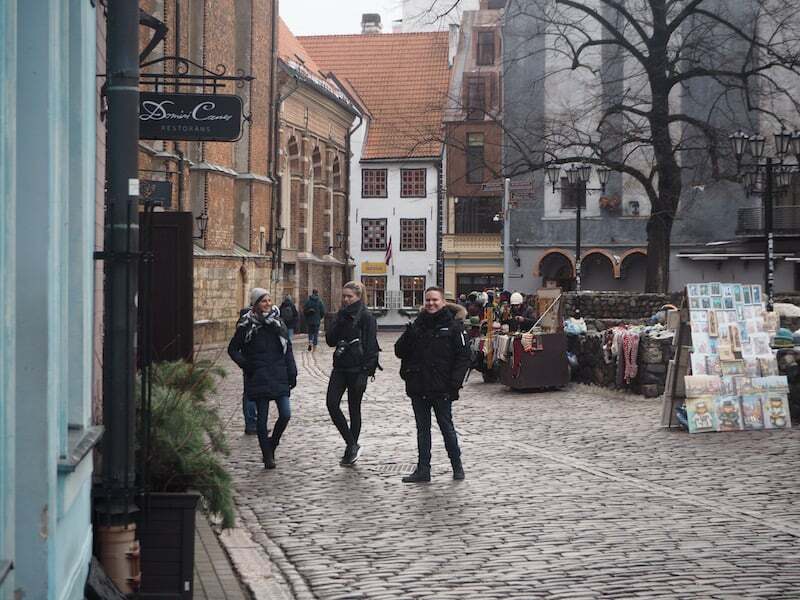 Latvia’s capital city, some 700.000 people strong, has a wonderful, welcoming atmosphere despite the chilly winter winds. The town’s origins date back to the 12th century, and I love tracing the remnants of various architectural styles as we stroll around town. 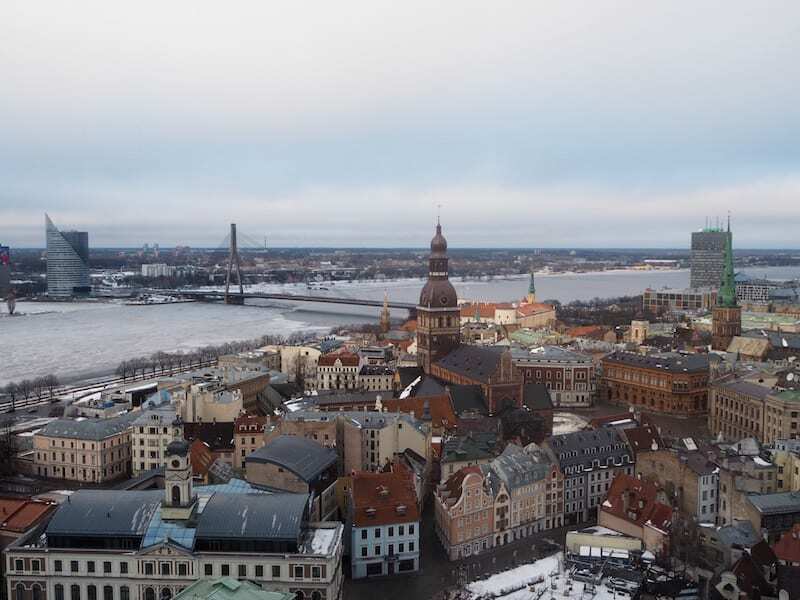 Climbing the church tower of Saint Peter with its 360° views, we can easily see why Riga has been awarded special protection status by UNESCO World Heritage. 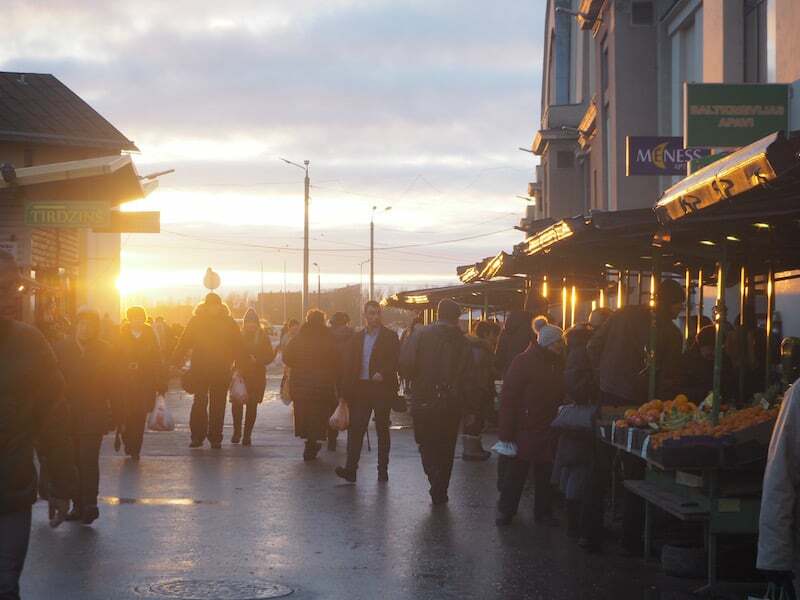 Do not to miss a visit to the market halls of Riga: They are located in former zeppelin hangars and render a unique flair to an otherwise familiar market experience. 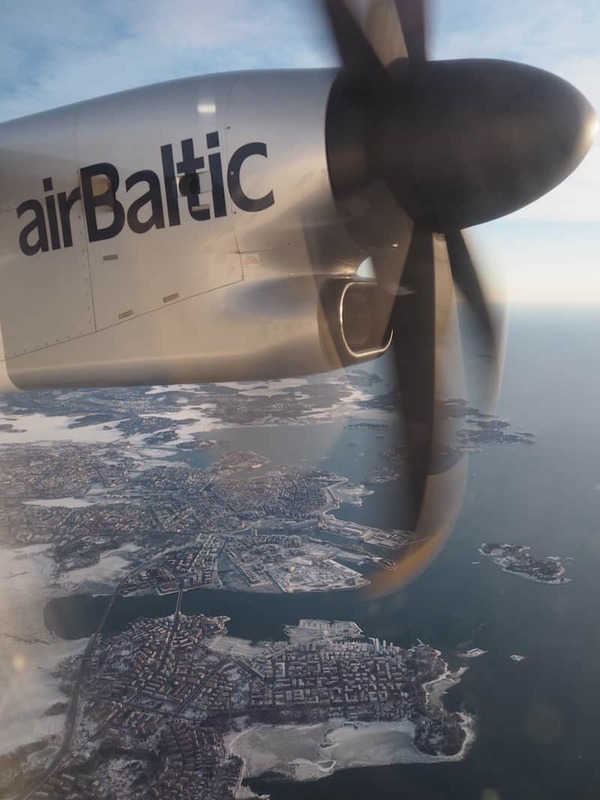 Flying to Riga from Helsinki: The hub of Air Baltic’s well connected network in (North)Eastern Europe. … we stop for lunch at a lovely local restaurant called “Trompete” (The Trumpet), featuring a stage for local musicians. Brace, brace against the chilly winter winds! 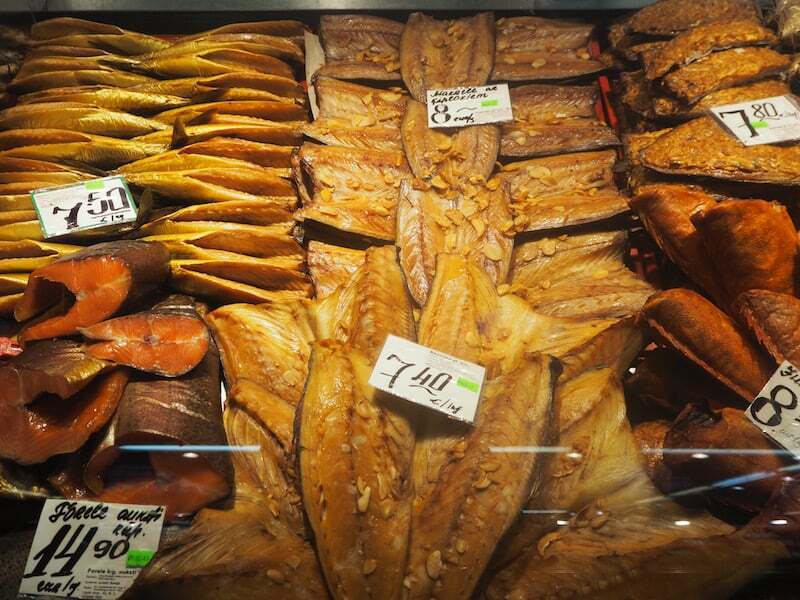 … where most of what I remember seeing (and smelling) is fish, fish, and … fish! … as well as at night! Dinner, anyone? 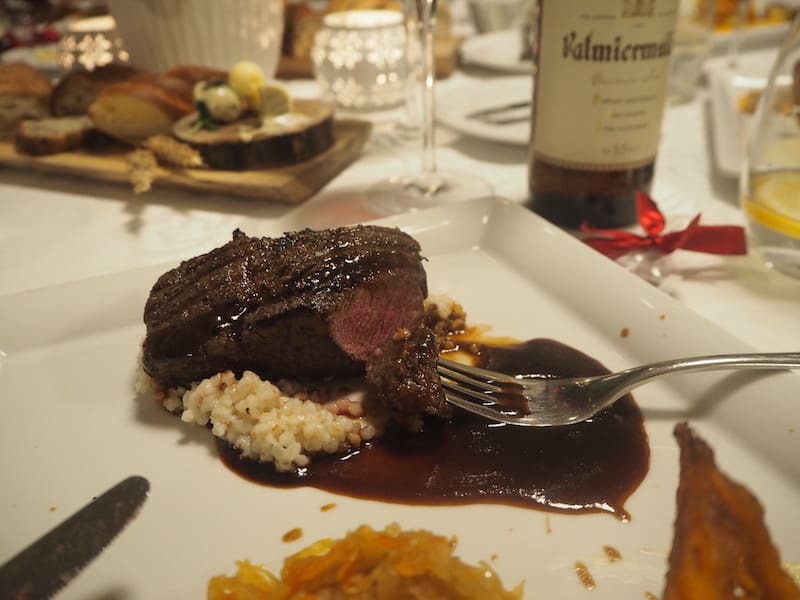 Head over to Valtera Restorans (Valter’s Restaurant) for a wonderful interpretation of modern-day Latvian cuisine. 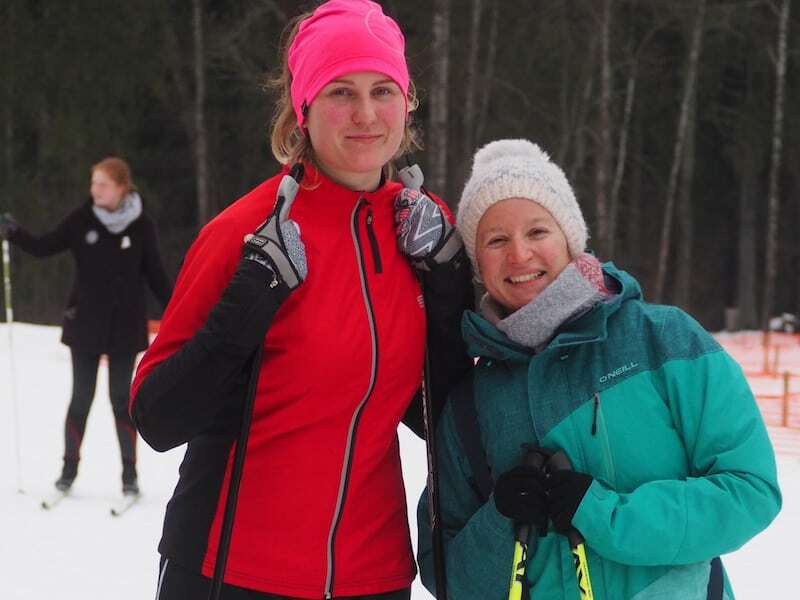 Around Riga: Just an hour north-east of Riga, you can enjoy the “great outdoors” of Sigulda, in Gauja National Park, and stay at the most warm-hearted home that is Malpils Manor. I will never forget the warmth of Aija Gabrane’s laughter. 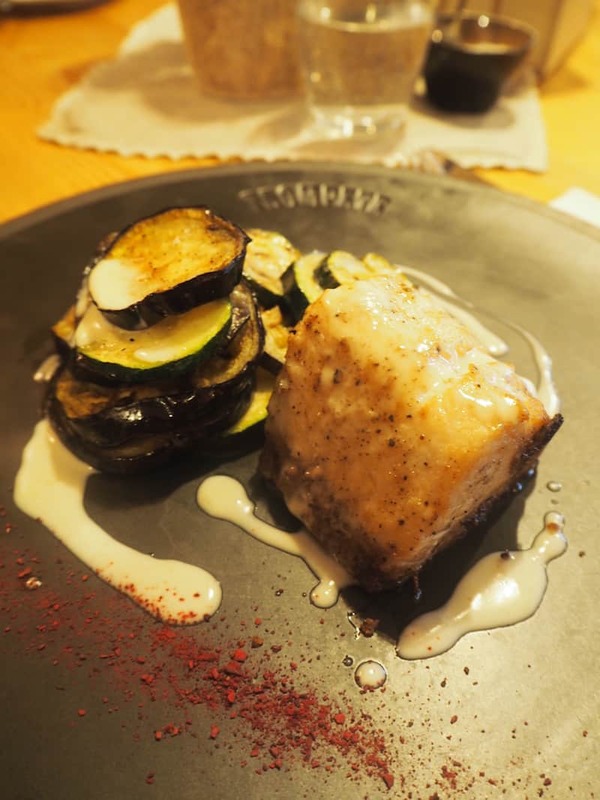 The local chef at Malpils Manor international guest house, she herself cannot communicate with us in fluent English, but everything else is said in her gestures, warmth of expression, and swift movements as she gently directs us around her kitchen. 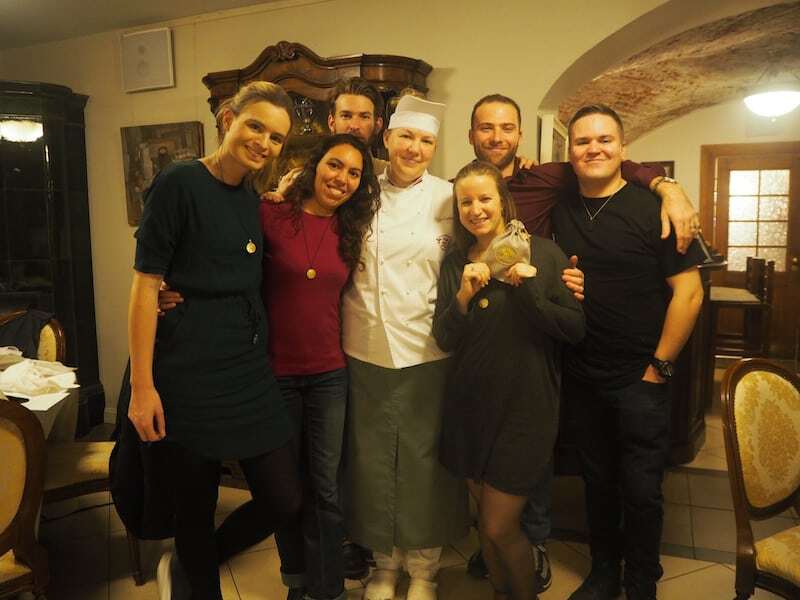 Aija Gabrane is Latvia’s top chef – but we only learn about this from her colleagues at Malpils Manor House: Aija herself is much too modest to brag about her achievements. 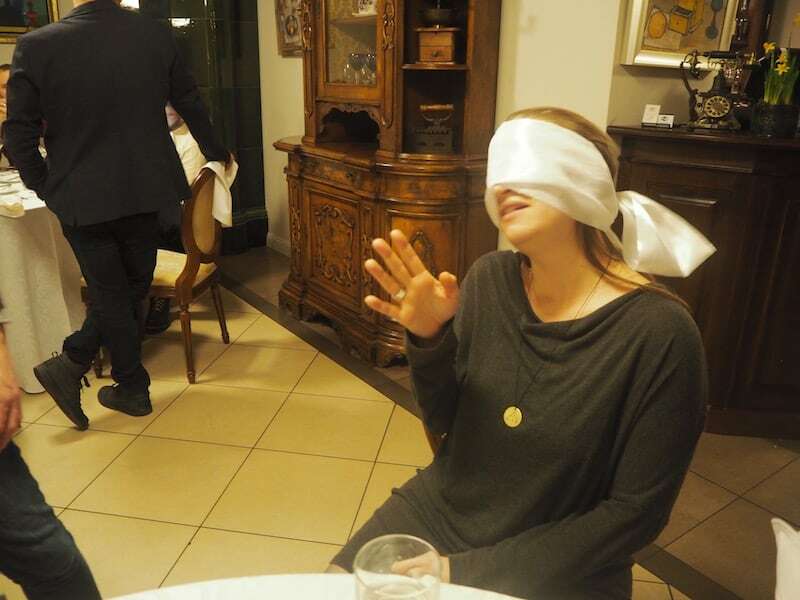 I take to her immediately – and love my cooking course & tasting experience with her. 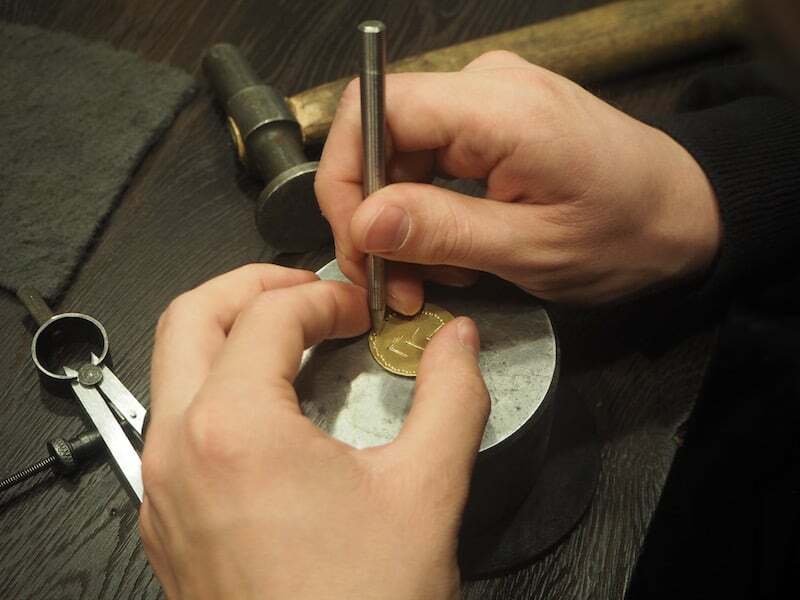 After a full day of exploring the Sigulda countryside, including another creative travel experience with “Balts Jewellery” at Sigulda Castle, me and my group defy the notion, “Too many cooks spoil the broth.” Check this out. 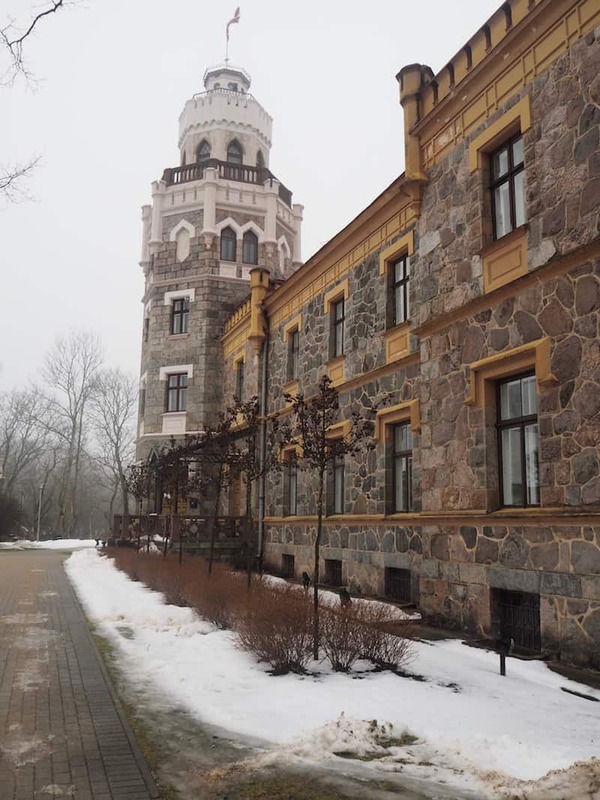 … at the beautiful countryside mansion that is Malpils Manor. 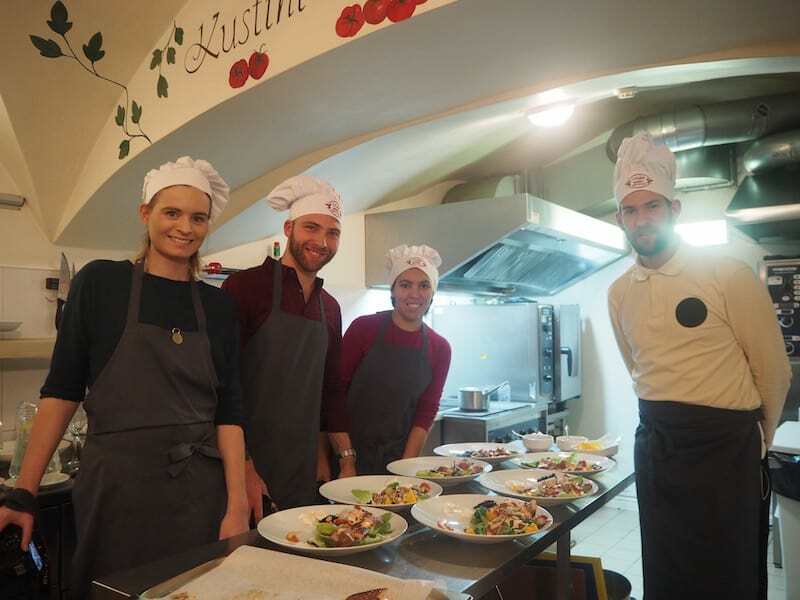 A little later, all of us are moving “behind the scenes”: Backstage in Aija Gabrane’s kitchen! 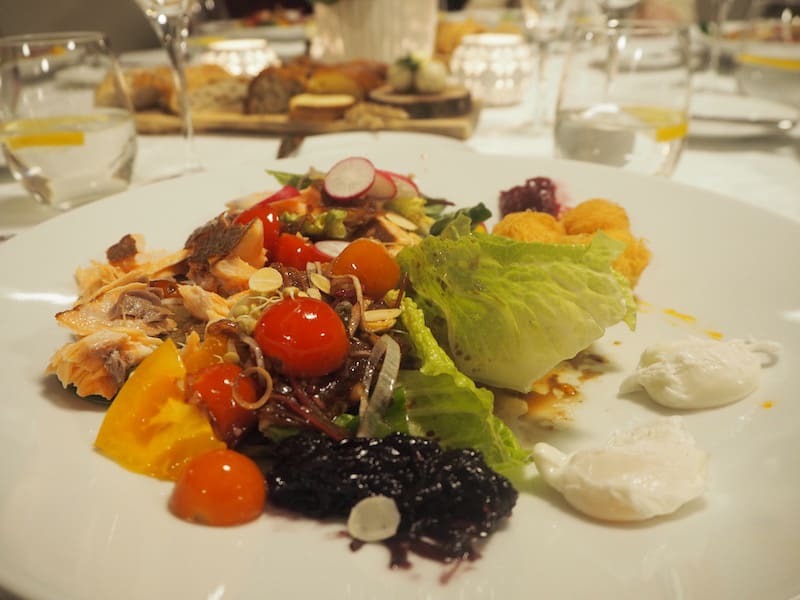 Isn’t this one of the most beautiful salad creations you’ve ever seen? It tasted at least as good. … thank you so much, my dear Aija : It feels as if we have met before, just looking at this photograph! Amazing. Very proud of our entire #LatviaOnFire team: From left to right, Rebecca Line from Denmark, Céline Simon from France, Michael André Ankermüller from Germany, Aija Gabrane from Latvia, David Hoffmann from the US, myself and Jerry Savolainen from Finland. 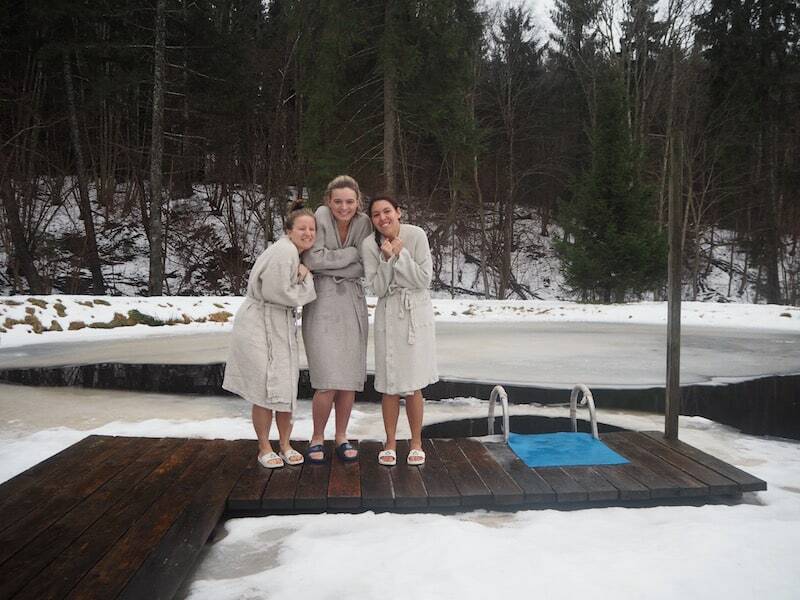 If spa is what you need (and trust me, you will love going to the sauna in Latvia during winter), look no further than Hotel Ezeri, again near Sigulda. 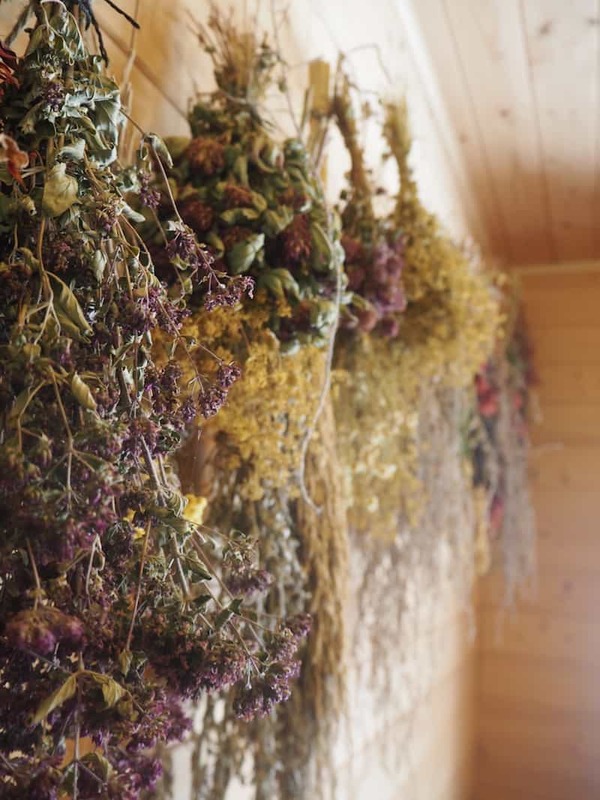 The cottage sauna by the lake will leave you speechless with delight. (Feeling completely relaxed here with me?). 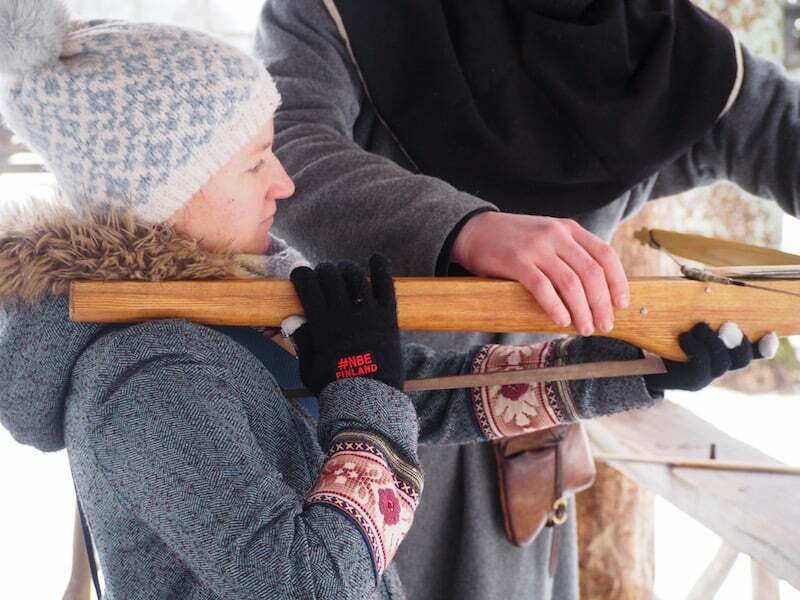 … looking after the girls & me: Sauna in Latvia is split among men & women. 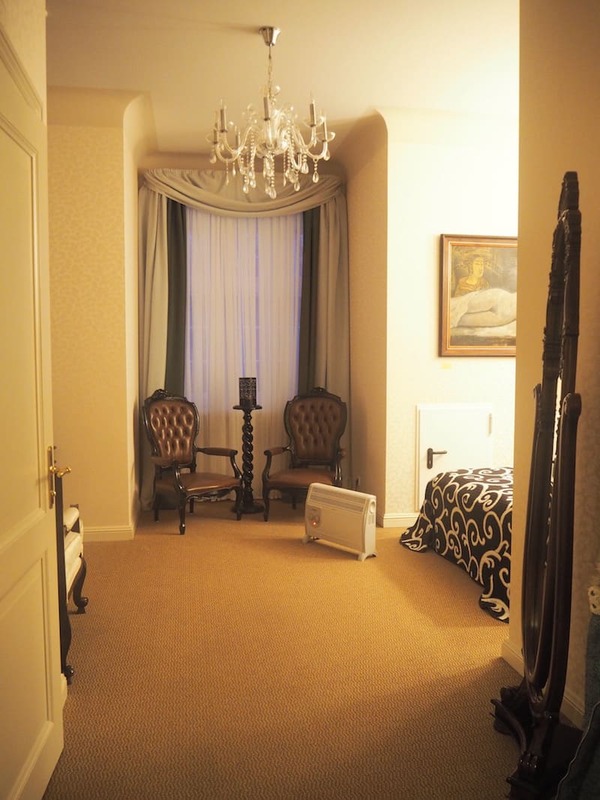 … yes, Hotel Ezeri: I’d stay here again anytime! 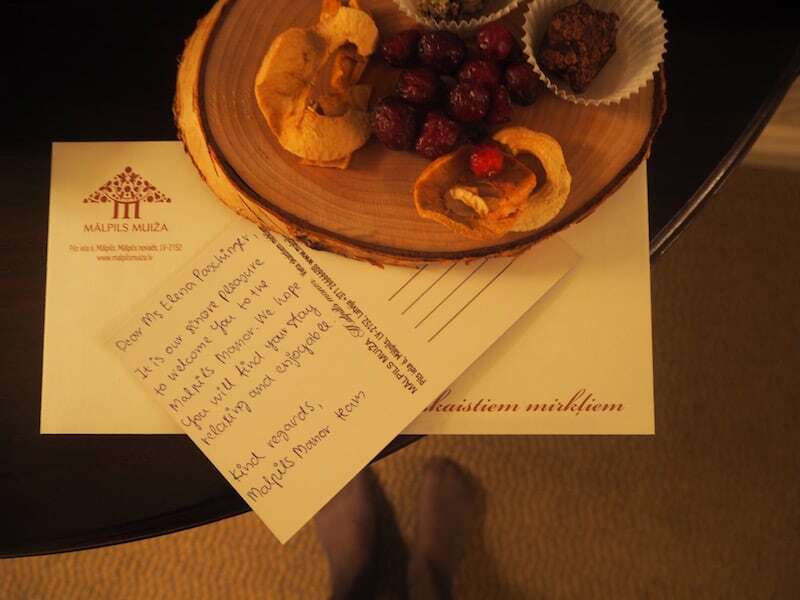 Disclaimer: We have been invited on this trip by #VisitLatvia as part of our #NBEFinland Nordic Bloggers’ Experience. All opinions are my own. This was such a nice post, Elena :). You captured the whole trip very well! It was great to get to know you and the rest of our group :). We had so much fun!